Details: The JW Shampoo Bather is a unique, easy to use, all in one shampoo and bather. Soft rubber bristles on the base gently massage the skin. 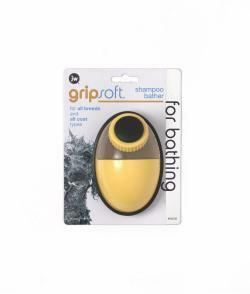 Suitable for use on all coat types the JW Shampoo Bather is ideal for bathing and brushing the dog in one easy step as well as reduce shedding and removing excess fur.